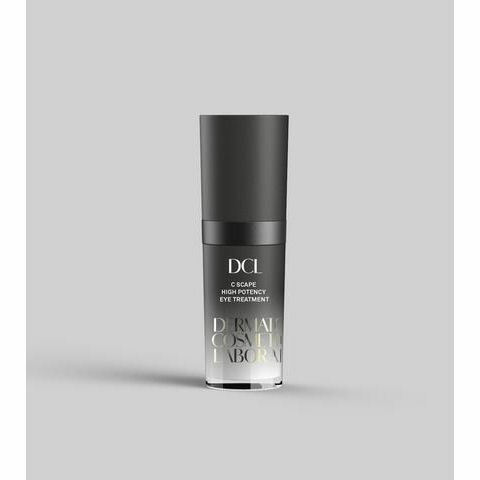 The C Scape High Potency Eye Treatment by DCL is an enlightening elixir packed with an innovative dual Vitamin C complex to help erase every last trace of under eye fatigue. 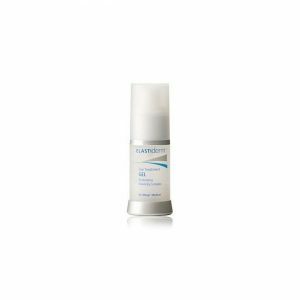 Special moisturisers hydrate, firm and smooth skin, as caffeine works overtime to deflate undereye bags and lighten dark circles. Proprietary silanol technology helps stimulate collagen production, while rejuvenating skin’s other structural components to improve elasticity and help prevent lines and wrinkles. Sheer light-reflecting pearls beautifully blur imperfections and instantly illuminate the entire eye area. Replace the cucumber and cold spoon with science and notice the difference. Our C-SCAPE HIGH POTENCY EYE TREATMENT is perfect for those dark circles just remember to apply gently with your ring finger. Caffeine before bed is approved with our C Scape High Potency Eye Treatment as it works overtime to deflate undereye bags and lighten dark circles. Pair it with our C Scape High Potency Night Booster’s advanced technology to improve your skin’s elasticity and help fend off lines and wrinkles. 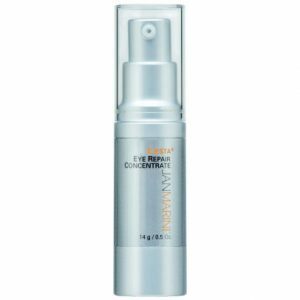 • Groundbreaking, non-irritating dual Vitamin C Complex works to lighten dark circles, while helping boost collagen synthesis to firm skin, fight free radicals and ease the appearance of fine lines. • Vitamin B5 conditions and moisturises, while relieving redness and irritation. • Hyaluronic Acid and an innovative complex derived from Sugar Cane and Maize softens and smoothes. • Advanced Amino Acids help to improve elasticity and further minimise the appearance of fine lines and wrinkles. • Caffeine appeases inflammation and improves circulation to further decrease redness, puffiness and dark circles. • Fortifying Algae Complex helps strengthen skin and improve elasticity. Mornings and evenings apply a small amount to the entire eye contour area with your ring finger using a gentle tapping motion.